Stiti procedura: toate la robot sau blender pana se fac pasta. Dam cu lipie si lingem rozul delicios de pe degete. 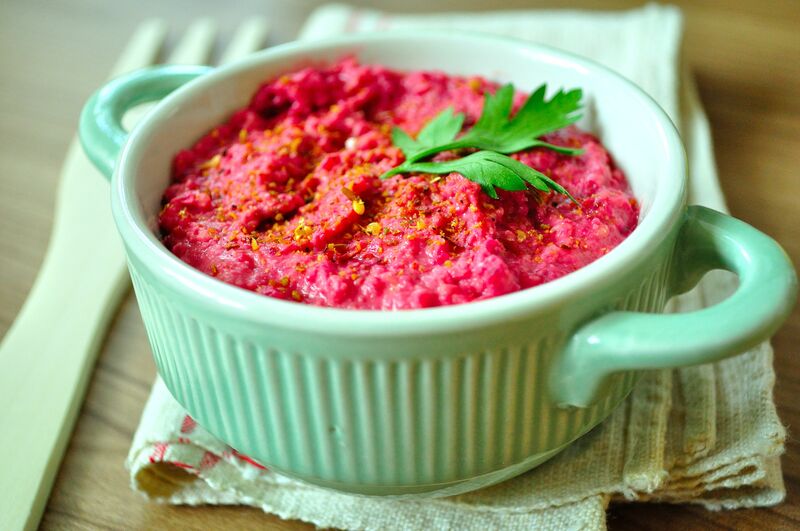 Very much aware of the importance of vegan food in our daily diet, I decided to give a spin to my all-too-traditional humus, so I paired the chickpeas with a bunch of roast beetroot. The taste was surprising, but the pink? You gotta love the pink…! Mix everything in a blender of food processor, and.. there you go!